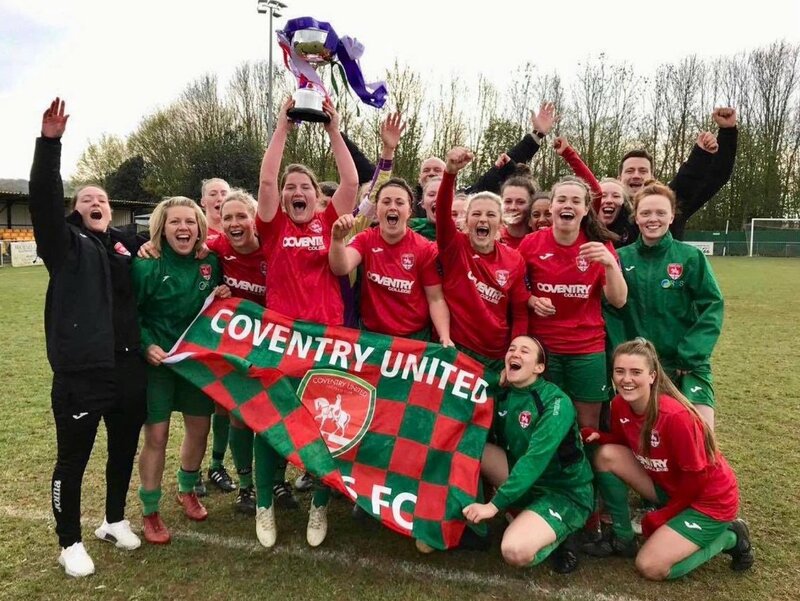 Coventry United saw off title rivals Cardiff City Ladies, Burnley and Crawley Wasps were both also celebrating winning their respective divisions, while West Brom picked up the FAWNL Plate. 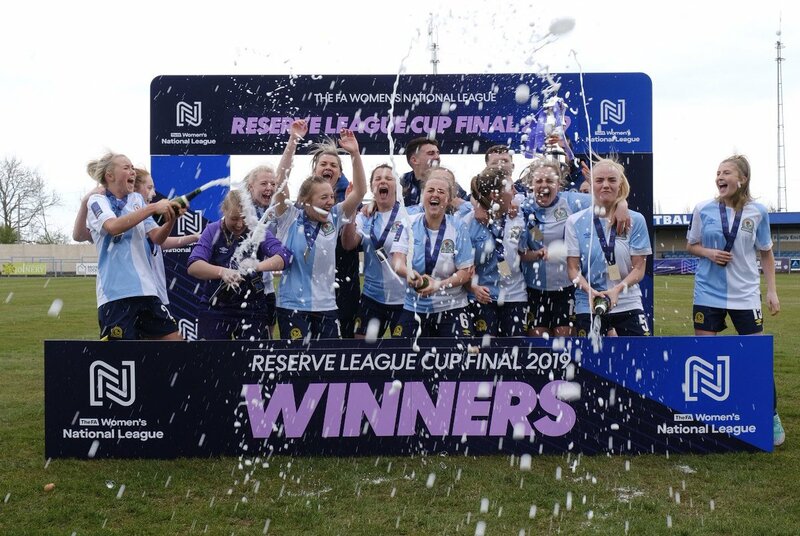 Northern Premier champions Blackburn stayed 15 points clear with four goals at Stoke, Sunderland still lead the race for second after a 2-1 result at Guiseley, achieved despite a red card for Keira Ramshaw with 17 minutes still to play. Derby can still catch the Black Cats after beating Huddersfield 2-1, while Middlesbrough signed off with a 3-0 victory over Hull. Sheffield FC stayed three points ahead of Doncaster after a Millee Clarke leveller and Fylde put five past Bradford. Coventry moved out of Cardiff’s grasp at the top of the Southern Premier when defeating them 4-1, City having equalised at 1-1. Chichester went back into second with the only goal against Watford a Lauren Cheshire penalty. Oxford edged Portsmouth 2-1 with a dramatic last-minute volley from Emily Allen. Plymouth won 4-2 at Loughborough with the help of a Jessie Jones brace and QPR recorded a first victory, Jo Wilson with a hat-trick in the basement battle with C&K Basildon. 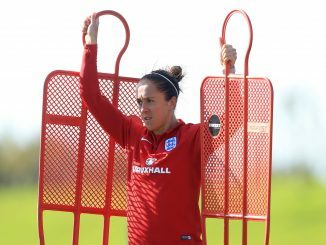 Wolves kept West Brom waiting for the Division 1 Midlands crown by thrashing Bedworth United 9-1, Billie Haynes, Anna Morphet and Jenni Anslow with two each. Birmingham & West Midlands are looking good for third spot after a double-figure scoreline at Steel City, Evangeline Gallop getting a treble. 3-0! Burnley FC Women win the league! An Evie Priestley hat-trick gave Burnley the Division 1 North title on the road at Crewe. Brighouse netted both goals at Chorley to climb into second, Barnsley and Leeds moved up to fourth and fifth respectively. 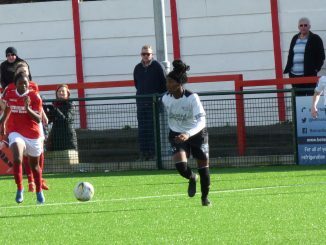 Crawley Wasps edged Enfield 1-0 with a late Kay Webber effort to seal the Division 1 South East championship. Billericay are runners-up having defeated Cambridge 2-1. Alessandro Barreca’s 87th-minute free kick saw Actonians share six goals with Orient. Bottom of the table Luton improved their survival hopes with a 2-1 result over Norwich, Remi Bains and Rachel Kosky their scorers. Division 1 South West winners Keynsham dropped points for only the second time in a 1-1 tie at Cheltenham, as Sally Butterfield netted for the hosts. Southampton WFC closed in on second place after coming from two down to take the points at Chesham with a Julia Moulton decider. West Brom ran out 5-1 winners over Liverpool Feds in the Plate final at Rugby Town. Their opener from Hannah George was cancelled out by Mollie Farley but Jess Davies, Laura Davies, Ria Elsmore and Natalie Murray added one apiece for the Baggies. Blackburn earlier beat Charlton in a shoot-out to take the Reserve Cup and complete the double. Ebony Stinson scored early on for Rovers and Georgia Pearch replied to force extra-time.